Using the proper grip is important. The first half of this video demonstrates how students should be holding a pencil. 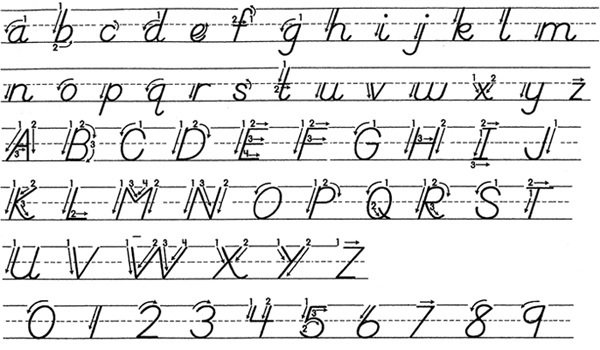 How to write letters c, o, a, d, and g..
How to write letters r, n, m, h, and f.
How to write the letters j, i, l, t, and b. How to write the letters v, x, y, s, and z. How to write numbers 0, 1, 2,3, 4. How to write the numbers 5, 6, 7, 8, and 9.